I discovered something new on YouTube last week called "The Ten Minute Block". It blew me away. 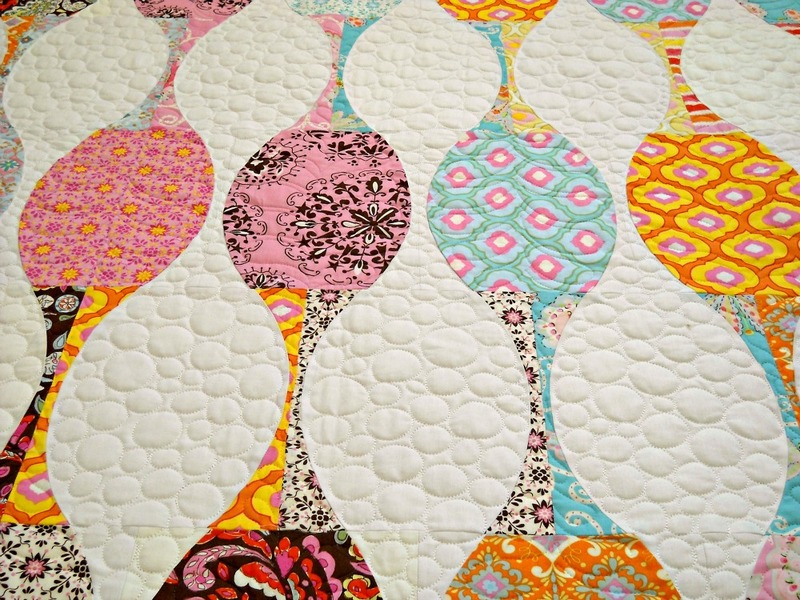 I found it while visiting one of my favourite blogs "Sew Kind of Wonderful" blogspot and looked at some of the other blogs she was following. I don't remember which blog it was but a blogger was talking about the ten minute block and had a link to the video. Here is the link. I have become aware that this block has been around a while but its new to me so I have taken a layer cake from the store and am in the process of making our first sample. We have ordered two books by "Design Originals" to have in the store for sale. Once you see the video you will know why I am excited about this. This is my layer cake fabric. Its French General by Moda ... Collection Fa La La La La (last year). Wow, that was fast (maybe a little more than ten minutes because trying to sort out the middle section was a bit fiddly. Next one should be quicker. I will time it. I'm going to do the cathedral window curve as shown in the video. I have now made six blocks. All of them took at least 15 minutes but that okay because they really look nice and still pretty darn quick. 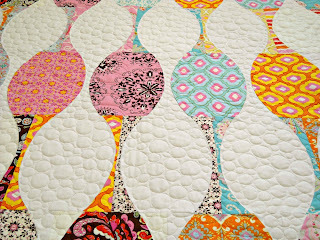 Here are a few pics of Urban Birthday quilted. I finished it yesterday and just have to bind. 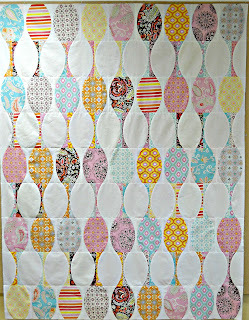 I quilted it on my Handi Quilter Fusion with Glide thread for the circles on the top. This thread is awesome ... no breakage whatsoever. I also used their magnaglide pre-wound bobbins with a special bobbin case with the spring removed on the bottom of the case. Don't use these magnetic bobbins in your regular case because as I learned the hard way, they will break your bobbin case. The colourful fabric I used Monopoly by Superior and pre-wound bottom line bobbins. I will show a picture of it hanging in the store when its up. You can't really see, but I did simple feathers in the colourful bits. New project today ... ten minute block! Yeah ... I'm done! Now how to quilt it? Have I mentioned how much I love this fabric. Its called "Pretty Little Things" by Free Spirit and you can get it at The Quilting Bee. Okay, I am a little slow in getting this done. However, I have been very busy at the store and snuck in a well deserved (I think so) vacation at a cottage with family. 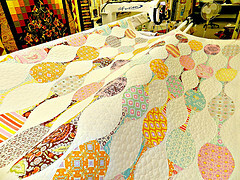 I hope to be finished the piecing of Urban Birthday this weekend. 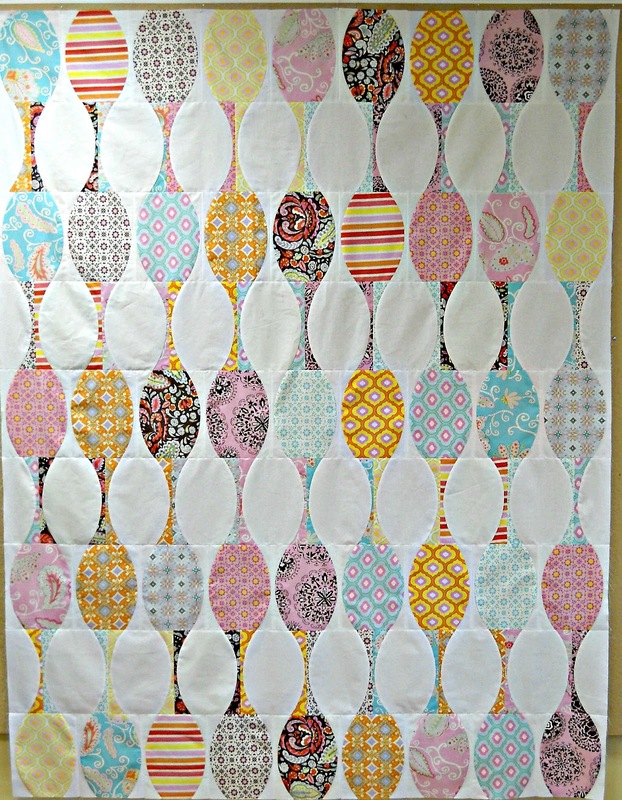 Welcome to The Quilting Bee Quilt Shop Blogspot! 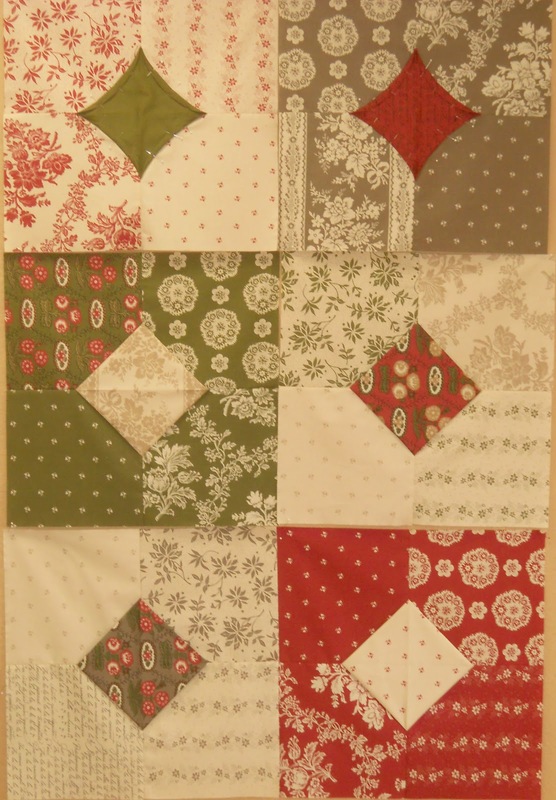 The Quilting Bee was established in 2003 and is located in Fonthill, Ontario, Canada. Our quilt shop is loaded with top quality quilting cottons, the latest patterns, books and notions. We offer a wide variety of classes and strive to keep up to date on whats happening in the world of quilting. Online shopping is available on our website.